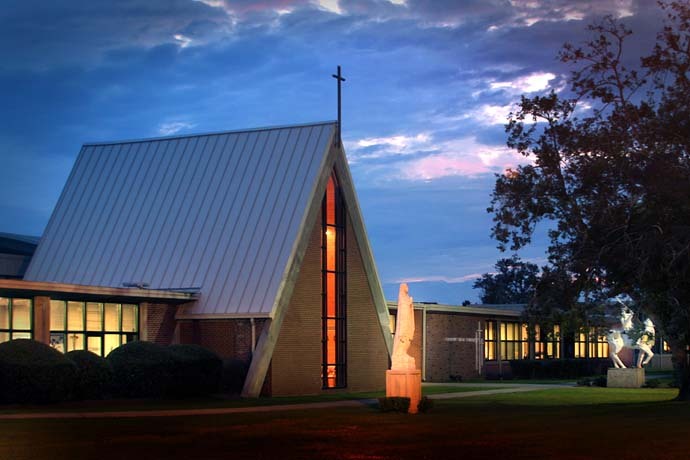 This is an exterior view of Pensacola Catholic High School that I made several years ago. The Crusader has been taken down and the Mary statue has had some new landscaping added to it, so the front of the school looks different now. I have been going through my files and finding images where the scenery has changed some what to post. I hope you enjoy looking at them … Thanks! 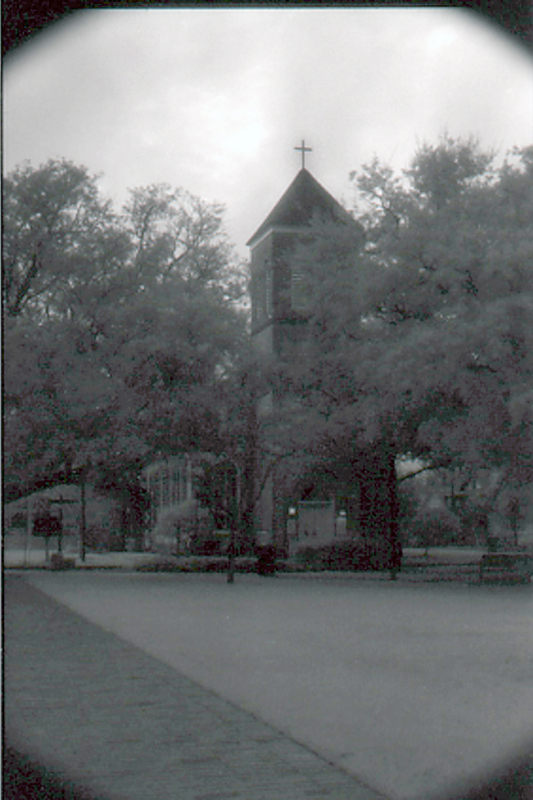 This image of Old Christ Church located down on Seville Square was taken sometime in the early 1980’s. 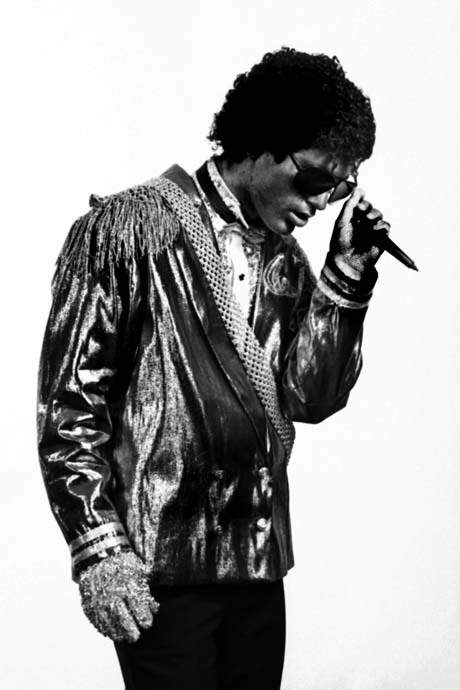 It was shot on 35mm infrared film with a red filter. This was way before the church was painted white and the fence was added. 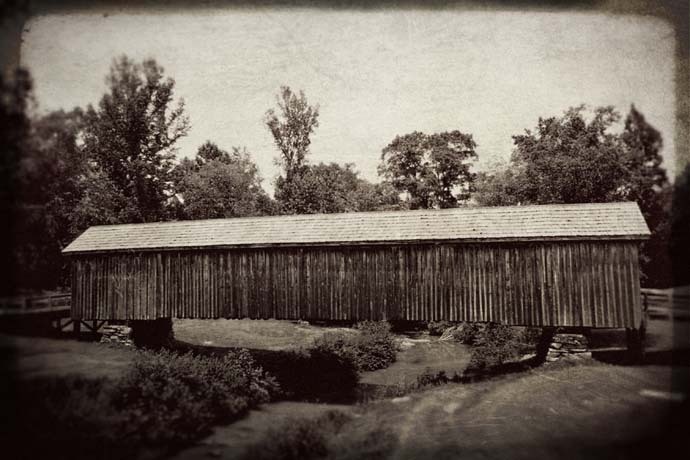 The photo below was taken around the same time as the one above. 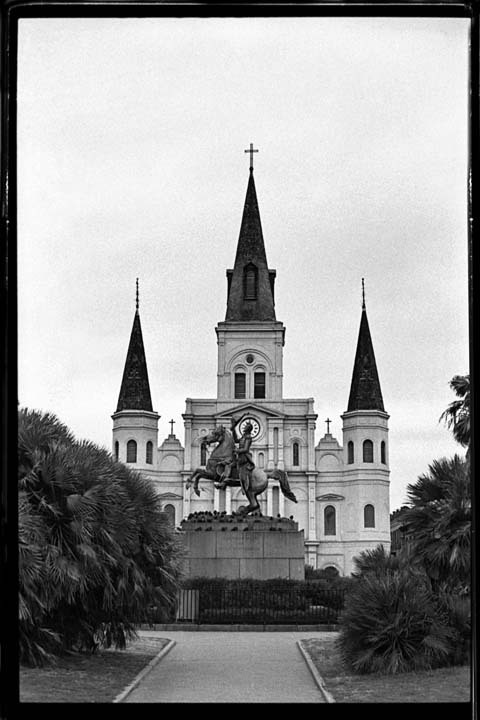 One of Jackson Square I made back in the early 80’s … nothing special, just an early morning shot before the place got busy and crowded. Could not get the pigeons to stay off of the statue no matter how hard I tried. I guess it would not be Andrew Jackson without a few pigeons. Shot with a Nikon F3, scanned full frame b&w … very little Photoshop. 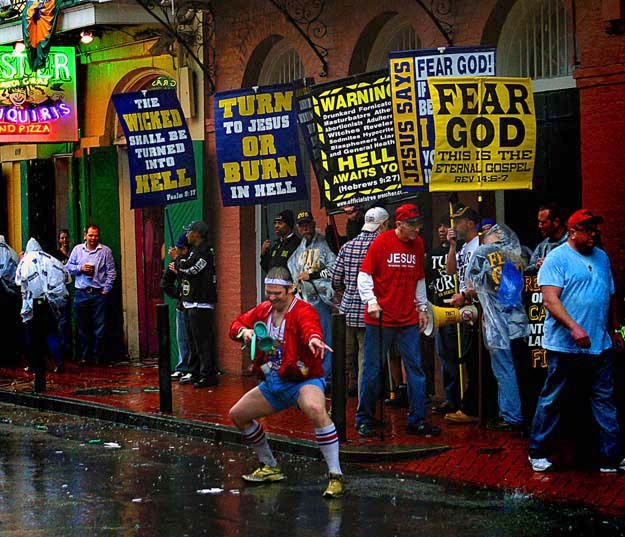 Happy Mardi Gras 2011! 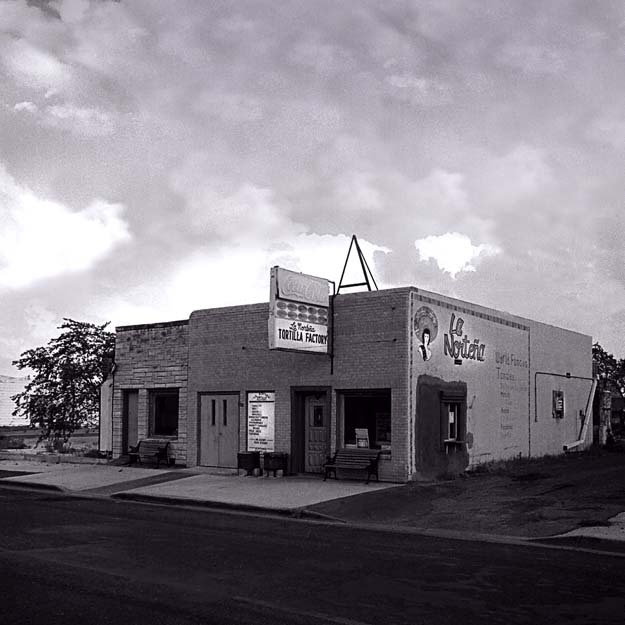 This is the “Tortilla Factory” somewhere between Fort Stocton, Texas and Carlsbad, New Mexico. For some reason I am thinking Pecos, Texas, but I could be wrong. 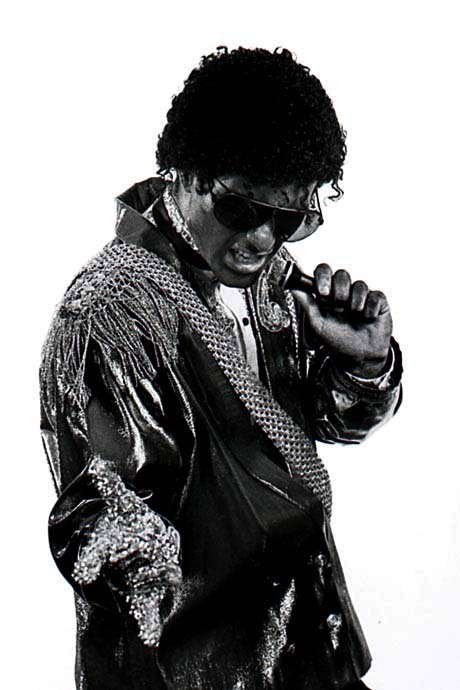 I just remember that it was on a Sunday in August 2004, it was hot and there was not a soul in town. 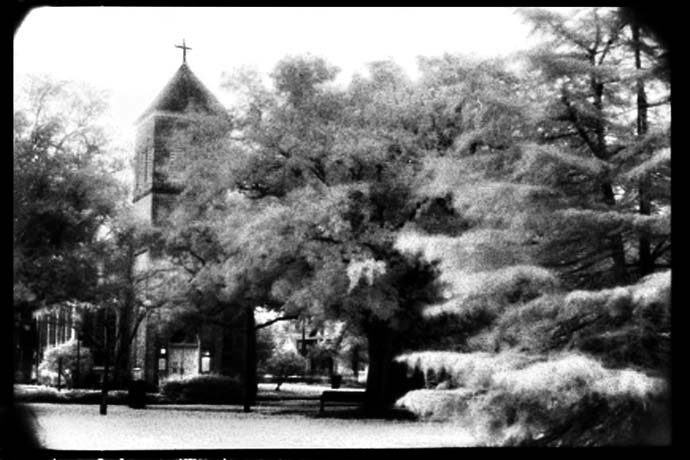 This is a b&w negative scanned and worked up in Photoshop. 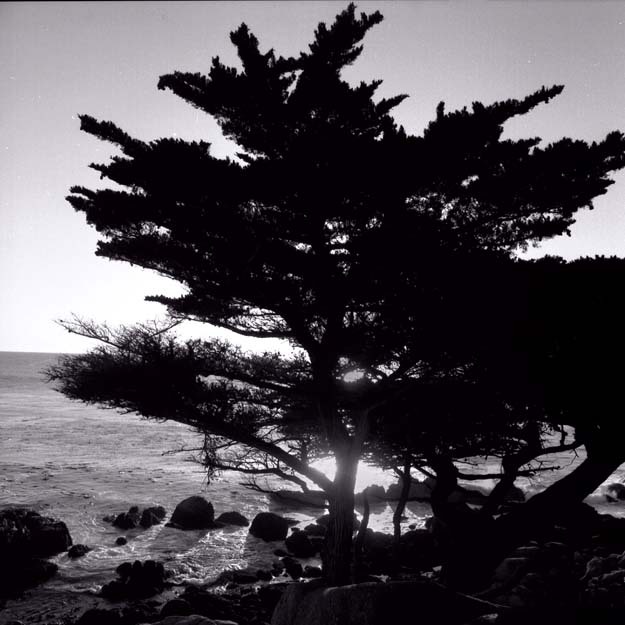 This is another from out in Monterrey California … I think it was taken at Pebble Beach. B&W negative again. This is one of my father’s negatives from a trip we made back in the 1950’s … not sure where it is, but this is one that I like the distressed look on. It is not something I did in Photoshop, but it has not aged well and is not in good condition. 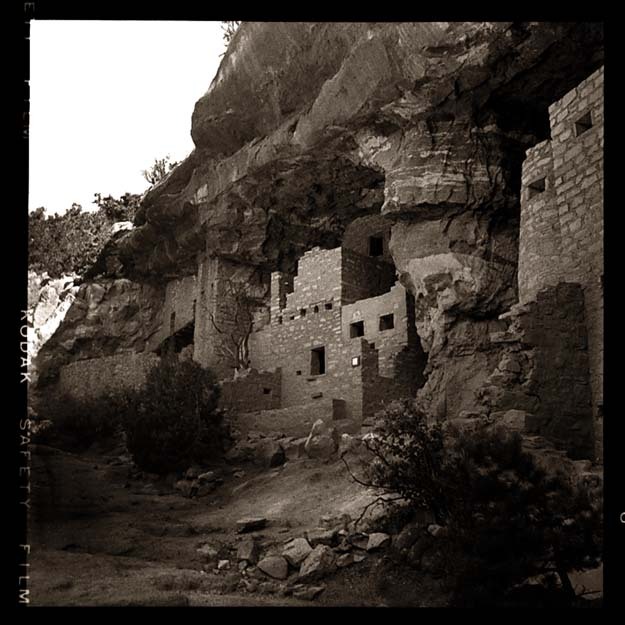 No idea where it is … I would guess New Mexico. 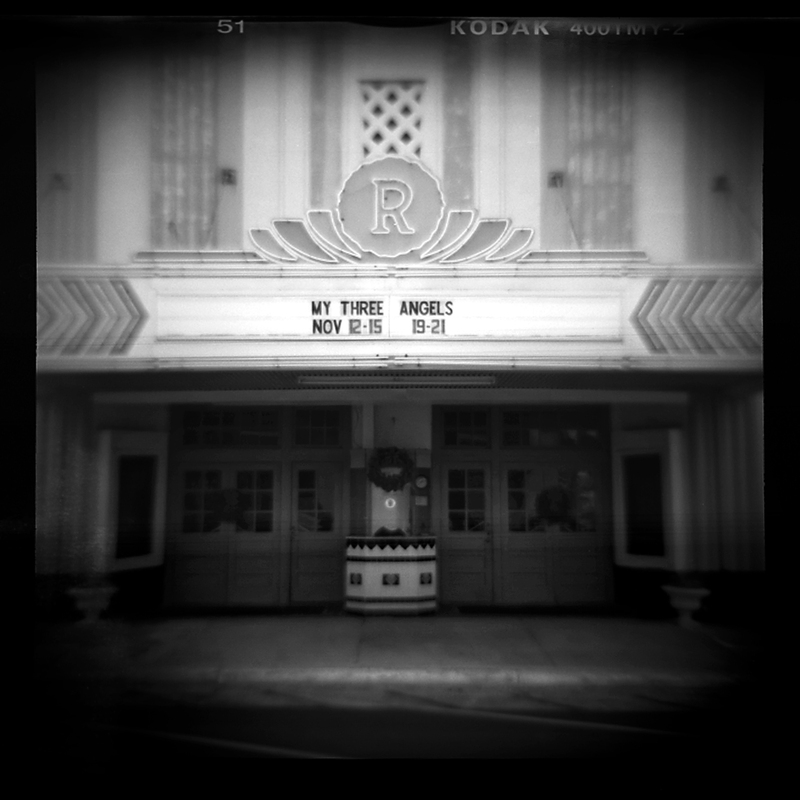 The above photo was taken in Waycross Georgia several years ago with a Holga plastic camera. 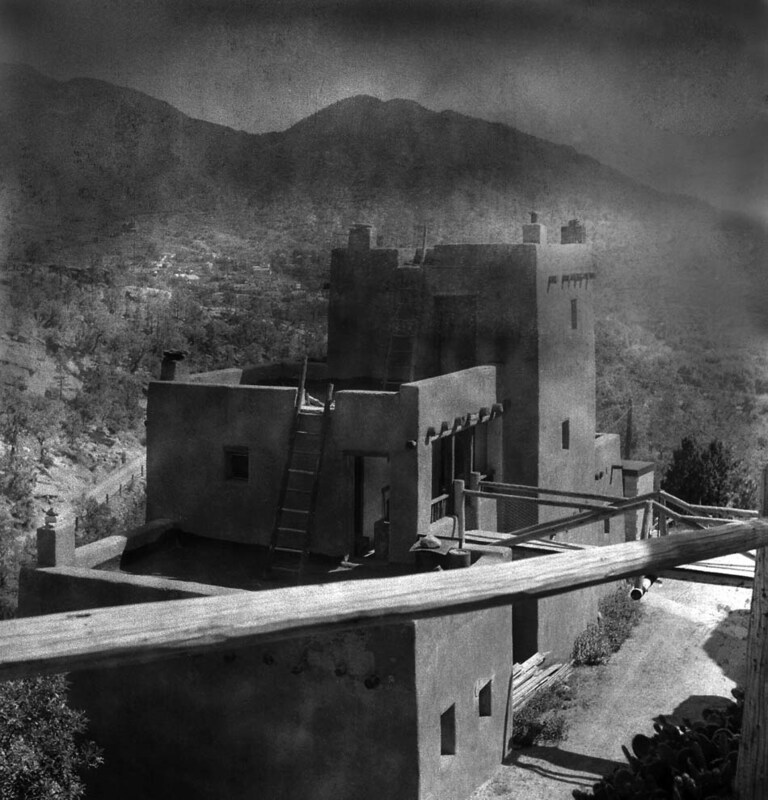 I develop the film in my darkroom, scan the 120 b&w negative and then clean the image up in Photoshop. Pretty straight forward. I know that a lot of people like these images with all the flaws, but I don’t. The photo below was made with a Canon 40D. Not much done to this other than levels, curves, boosted the saturation and then sharpened … I always clone out trash, blemishes, etc. 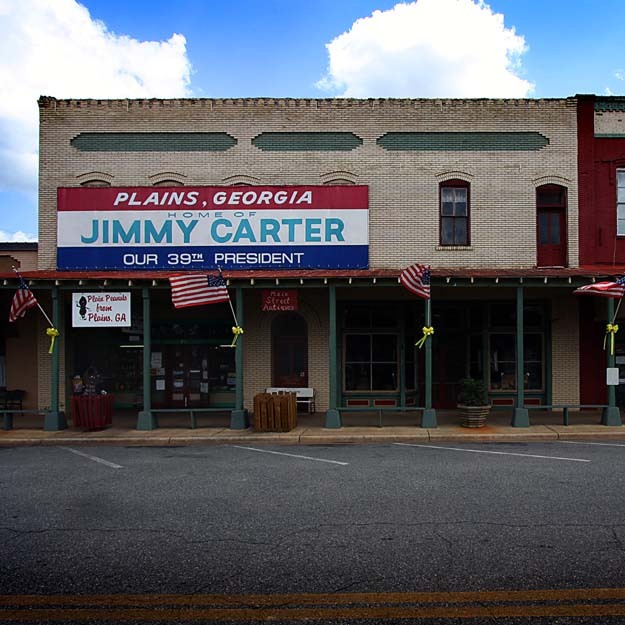 The campaign headquarters houses a store that sells all type of political memorabilia from different politicians and campaigns, not just Jimmy Carter’s. At least it did when I made this photo several years ago. 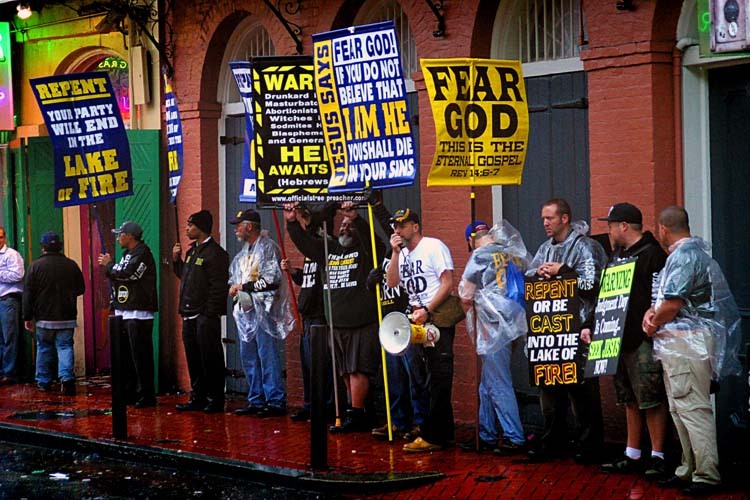 Pam and I drove over to New Orleans to catch a parade yesterday, but due to the rain and bad weather they were canceled. So we ended up eating very well … we found a place on Decatur named Olivier’s and had an excellent lunch. 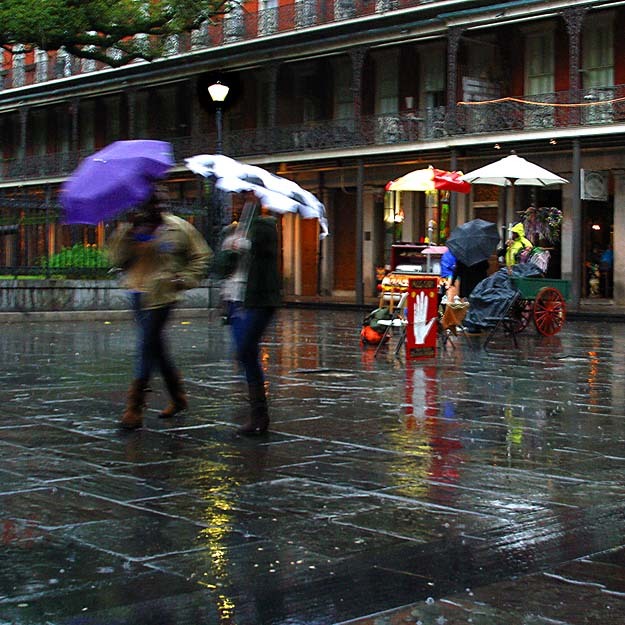 After we ate, we headed down to Jackson Square and it started raining. The place cleared out and I made the photo above. 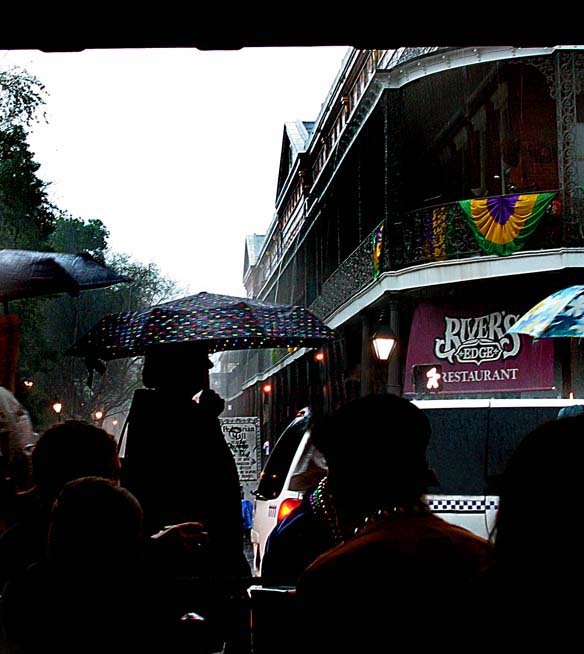 The photo below is one that I took from inside Cafe Du Mond when it started raining real hard. 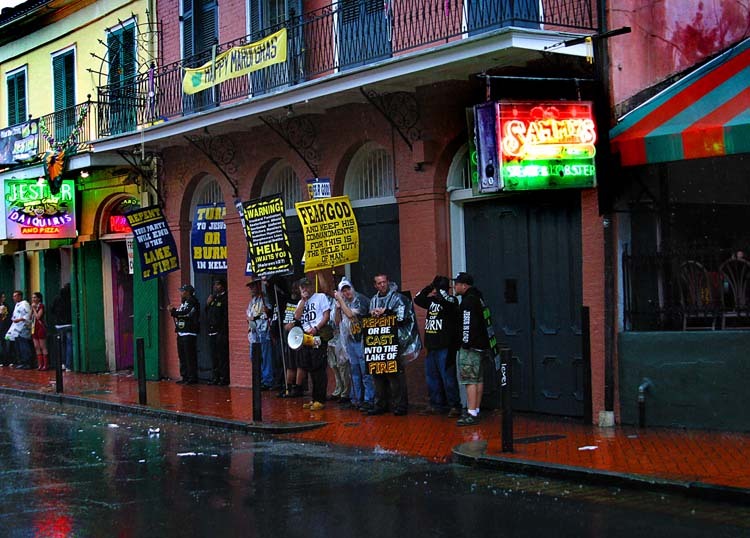 The last photo is of some street preachers trying to save some lost souls on Bourbon Street … they really had their work cut-out for them and I don’t know if they succeeded or not, but they sure were trying! At this point, business is slow and all the sinners must have staggered into or bar to get another drink or something … the first photo is a close-up and the second is one further back. I can only hope that he was not driving and wonder how long he made it once the sun went down! Let the good times roll!